Keiser Performance Trainers - compact & versatile equipment; single-column, wall mounted high-low pulley system. This equipment can be used comfortably by all body types and sizes. You can change resistance throughout the range of motion and adjust quickly in 1/10 pound increments. designed to mimic real-life, real world stretches – including performance-enhancing stretches. Power-Plate my5 Vibration Training Machine - will help you achieve new levels of health, fitness and performance – in just 15 minutes per day,three times a week. The my5’s Advanced Vibration technology uses your body’s natural response to vibrations to help improve muscle tone and stimulate circulation and performance. Vibrations activate natural muscle reflexes up to 35 times per second. Life Fitness 9500HR Treadmill - powerful running, walking, and jogging machine that is the top choice among exercise enthusiasts around the world. The 9500HR Treadmill features the exclusive patented FlexDeck shock absorption system. It reduces impact to the body by nearly 30% more than other treadmills. Stott Pilates SPX Max plus Reformer Bundle - Equipped with our innovative retractable rope system and travelling pulleys on the vertical frame, the SPX Max Plus offers variable angles of resistance, allowing three-dimensional movement that replicates daily activities. It’s a Reformer and virtual Cadillac in one, offering maximum functionality in a minimum amount of space. The Stott Pilates SPX Max Plus is great for all levels of fitness and athletic training. TRX Suspension Training Kit 2016 - A new addition to the fitness room, the TRX suspension training straps attach to a securely bolted latch on the deck head and offer an innovative way to complete exercises and stretches. Accompanied by an informative DVD and a variety of straps for your preference and needs. 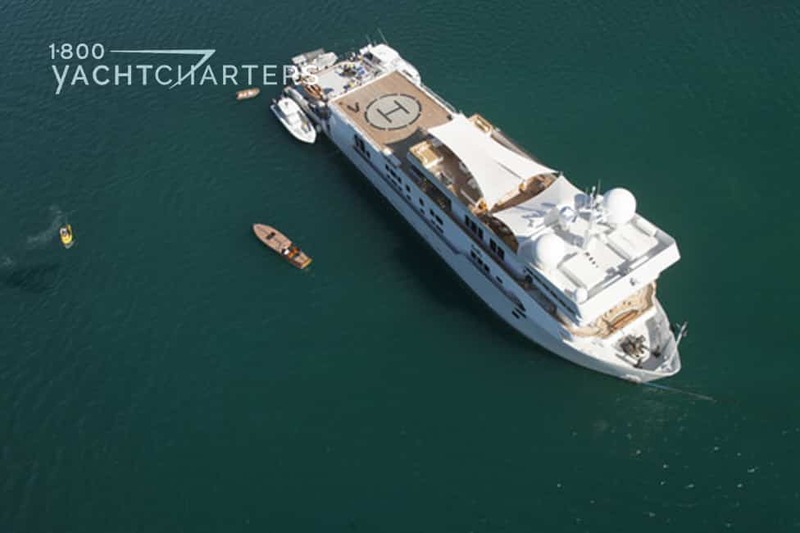 It’s hard to imagine a luxury yacht charter vessel that holds more appeal to active travelers than motor yacht SuRi, a 63 meter expedition vessel. To say SuRi offers a unique experience is truly an understatement. 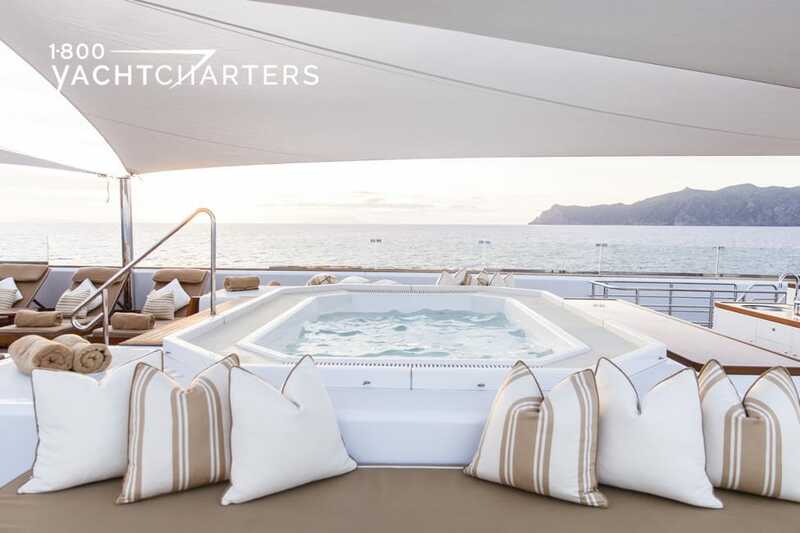 Few charter yachts, Mediterranean or Caribbean-based, offer the combination of luxury, adventure, and recreational options that this superyacht can provide. 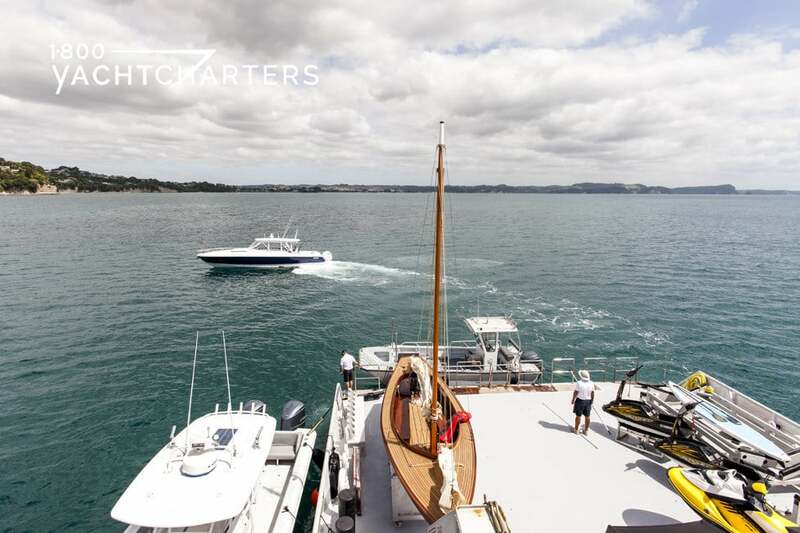 No matter the destination, upon arrival, motor yacht SuRi will turn it into an adventure-packed playground, for adults and children alike. 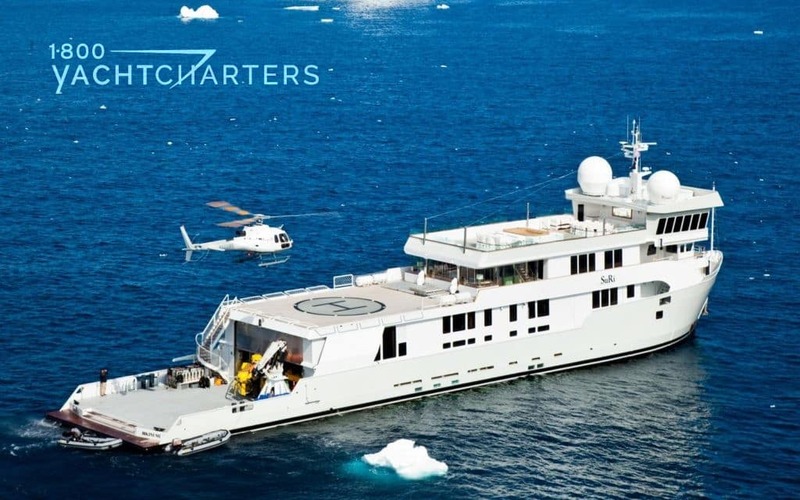 The yacht owner’s vision was simple – offer a luxury yacht charter vessel that can go anywhere on the planet’s oceans to provide unlimited opportunities for adventure, while enjoying the “pinnacle of luxury” in the sanctuary of the yacht’ on board salons, lounge areas, and staterooms. 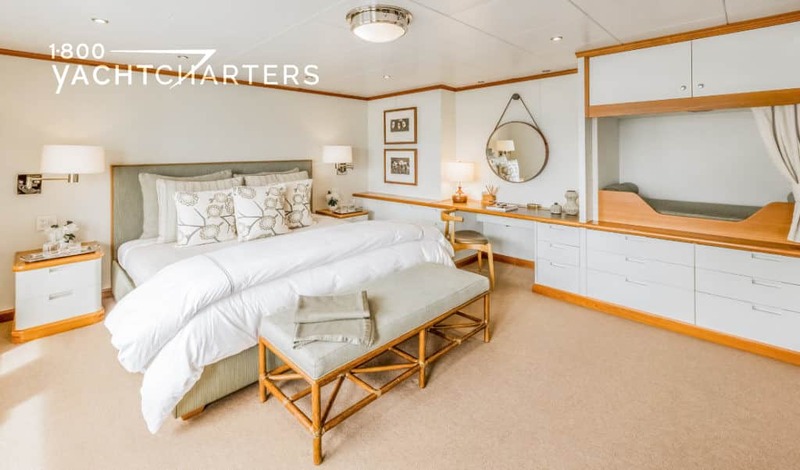 Up to 12 guests can enjoy the yacht’s onboard accommodations – a purpose-built charter yacht that seamlessly blends excitement, adventure, and luxurious comfort, thanks to a major refit and extension of the yacht’s overall length. 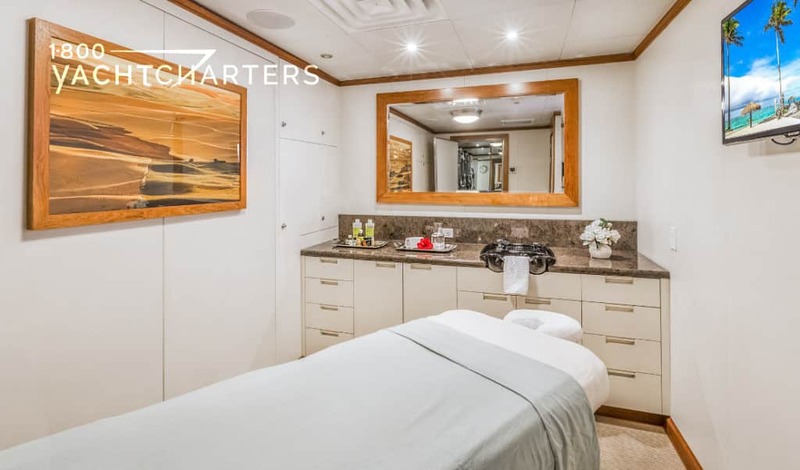 There are 7 guest cabins, including a master suite, 4 VIP staterooms, 1 double, 1 twin and 1 convertible cabin (can be either a double bed or twins). This 208 foot long vessel was originally launched by Halter Marine in 1978 as a commercial support vessel. 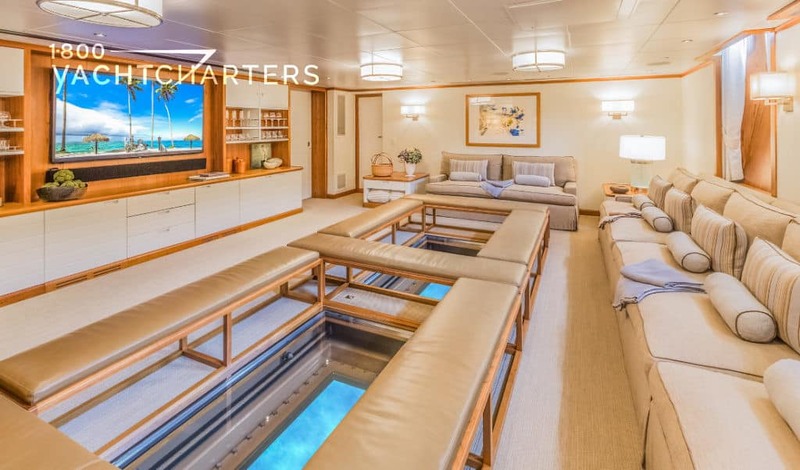 In 2007, she was converted into a charter yacht, and in 2012, a major refit added many luxury amenities, including a glass-bottom observation area in her hull, and an 11 meter mid-body extension. 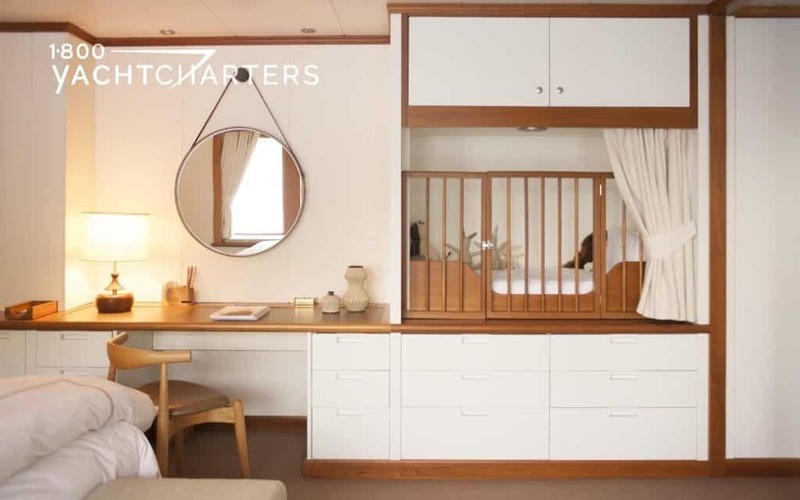 A further refit in 2016 has added even more luxurious touches to the yacht, like new fabrics and even MORE amazing watertoys. 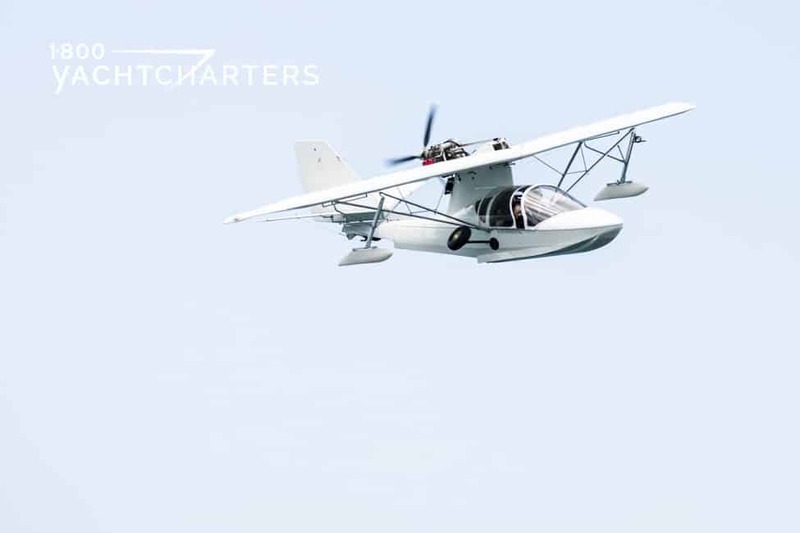 Featuring the strength of a steel hull, and the ability to travel great distances made possible by extra-large fuel tanks, SuRi is the ideal choice for luxurious vacations in remote, exotic destinations…and a favorite of seasoned charter guests. Her cruising speed is 10 knots, and her range is 6,000 nautical miles. 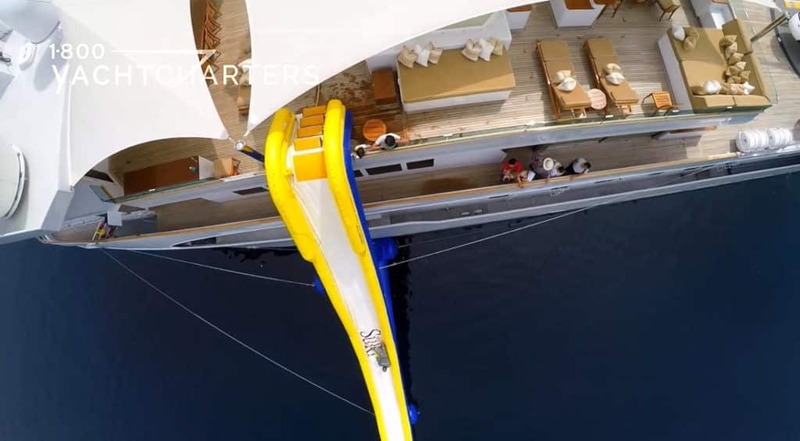 Onboard recreational amenities and toys include an ondeck Jacuzzi style tub, gymasium, helicopter, Searay Seaplane, 5 tenders and speedboats, dune buggy and hovercraft. 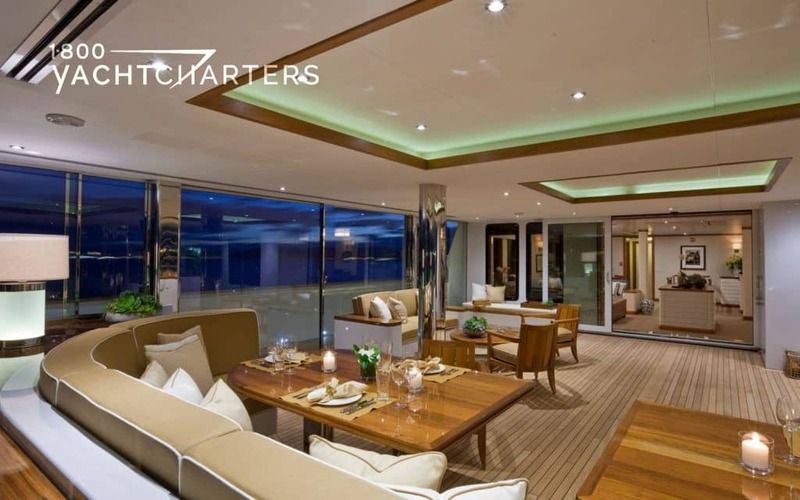 Her impressive interior leisure facilities and entertainment features (TV’s, music systems throughout the yacht, etc.) make her ideal for socializing with family and friends. 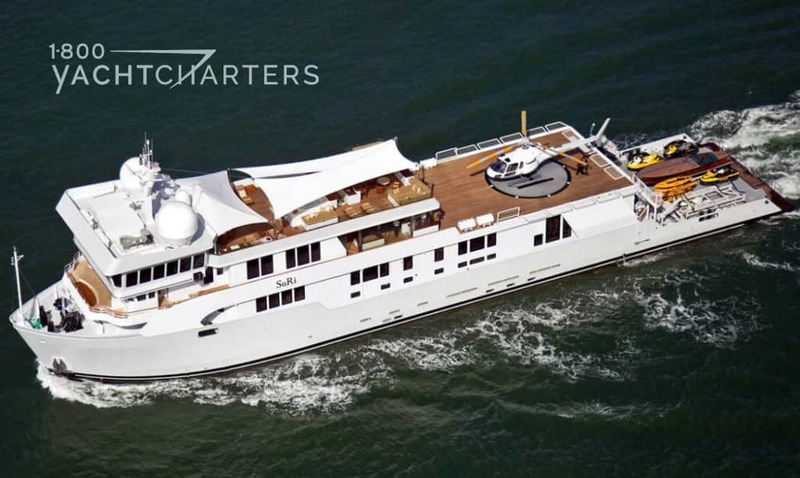 Motoryacht SuRi operates yacht charter vacations in South America, Fiji, French Polynesia, the South Pacific, the Caribbean (based in Antigua) in the Winter and in Fiji, French Polynesia, New Caledonia, New Zealand, and the South Pacific (based in the Indian Ocean) in the Summer. BOAT SPECIAL FEATURES — too numerous to mention all of them! 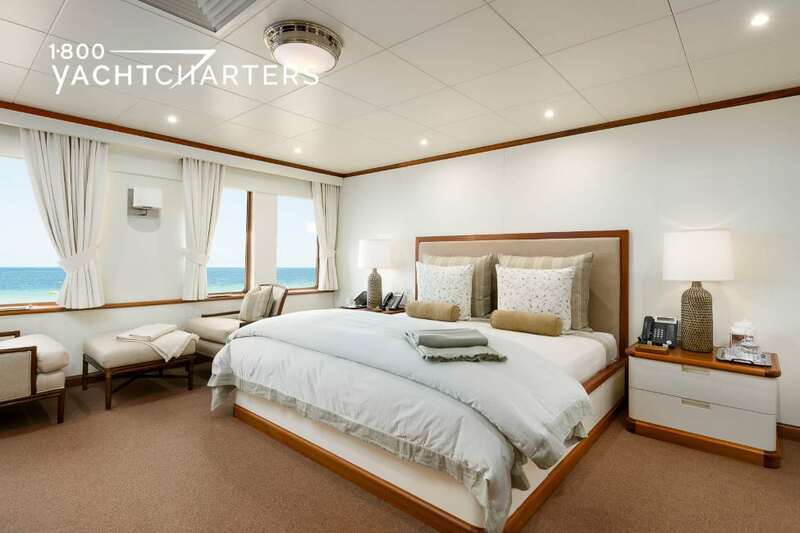 Book motor yacht SuRi for your own private luxury yacht charter vacation today by contacting your yacht charter brokers at 1-800 Yacht Charters at 305-720-7245 or via our convenient online inquiry form at https://www.1800yachtcharters.com/book-now/ . 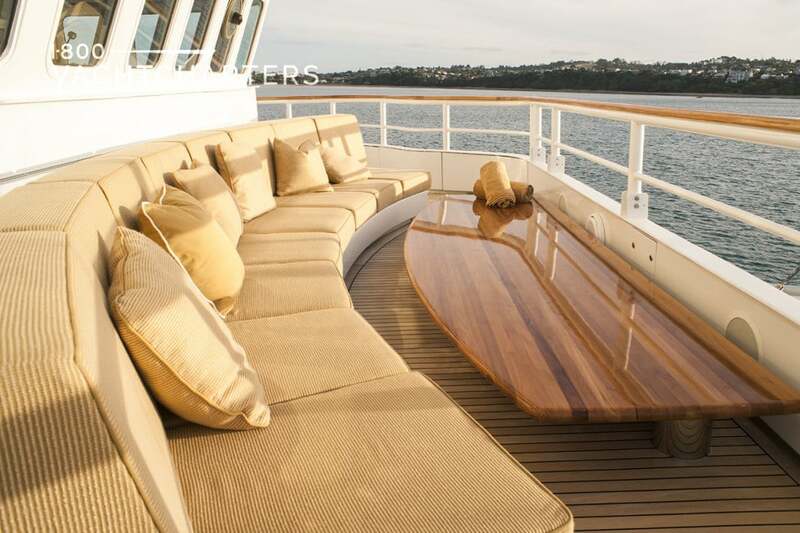 We will be in touch with you right away to plan The Superyacht Experience with you! 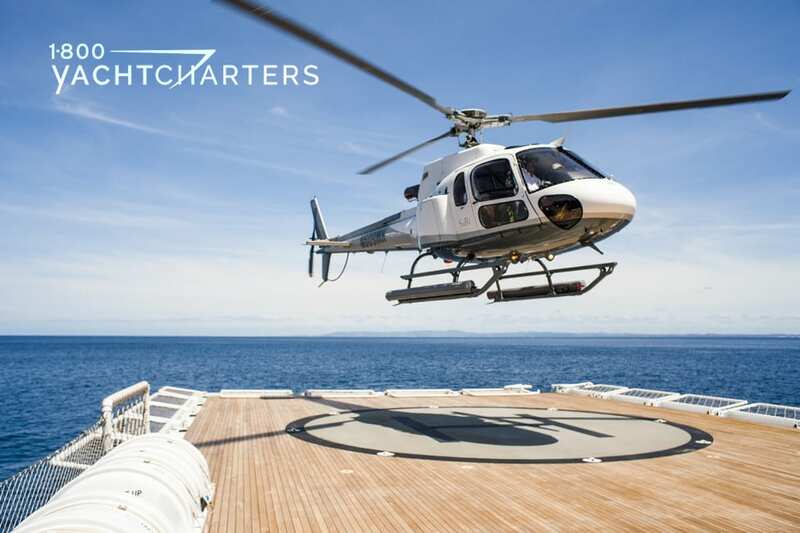 We offer a Best Price Guarantee, and 1-800 Yacht Charters makes a donation to charity with every charter – IN YOUR NAME! 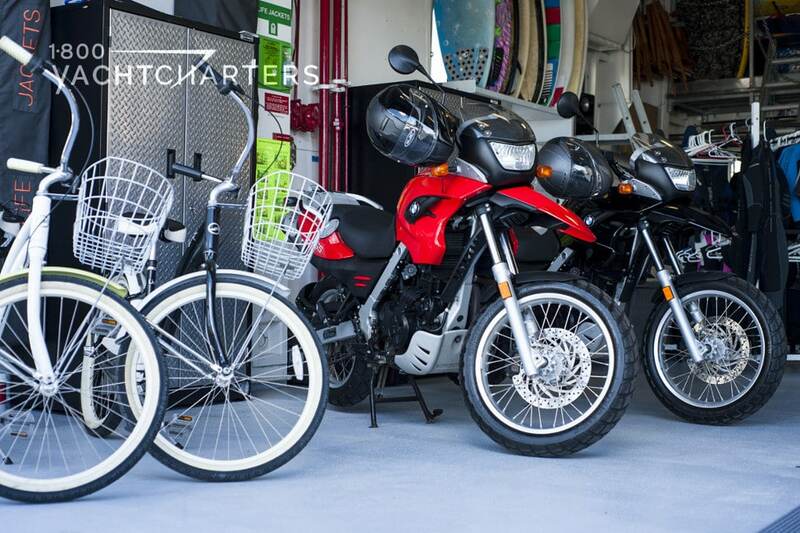 Make a difference with us! Since 1976.